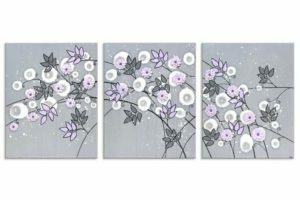 The lilac and gray nursery paintings in this new collection are original artworks by artist, Bethany Ogle. 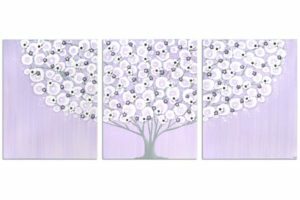 Each canvas is hand-painted, backed, and ready to hang in your nursery. Need color swatches? Order paint samples of lilac, violet, cool gray, feather gray, and white. 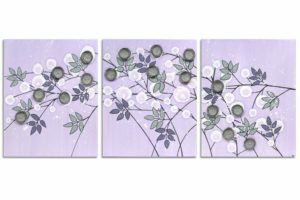 Coordinate your lilac and gray nursery art with matching fabric and wallpaper designs by Amborela.